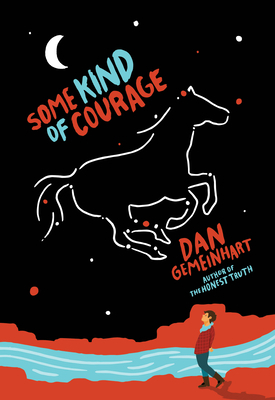 Following 12-year old recently orphaned Joseph on his quest to get his only family back -his beloved horse Sarah- author Gemeinhart brings together race relations in the late 1800's, western lore and a clear-eyed pragmatism that, coupled with his signature action/adventure plot twists and a kindheartedness thread permeating the story, this wonderful, evocative and first rate middle grade title builds on his exceptional debut (The Honest Truth). This is an author that has clearly established himself as a must read for warm hearted, realistic adventures. Dan Gemeinhart is a teacher-librarian and father of three daughters. His debut novel, The Honest Truth, was a New York Times Editors' Choice selection, an Amazon.com Best Book of the Month, and an Indie Next List pick. His follow up, Some Kind of Courage, was met with critical acclaim, garnering two starred reviews. Dan lives with his family in Cashmere, Washington. Visit him at www.dangemeinhart.com.